Forumites at Camaro5 have been collectively scratching their heads for a couple days, wondering why there appear to be two layers of lead wheel weights stuck onto their brake calipers. It's a mystery Charlie Brown! 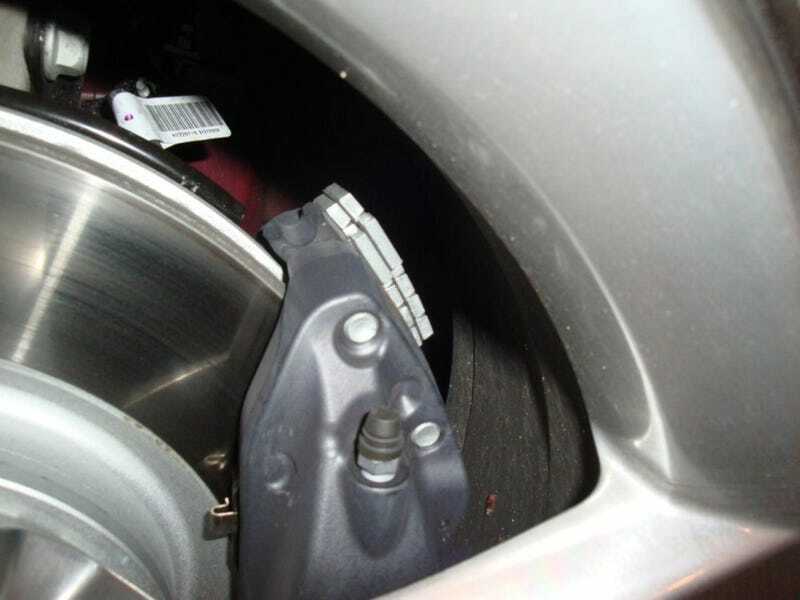 The confusion started when a poster uploaded an image of his new Camaro's Brembo calipers, on which were riding two rows of lead weights, normally affixed to the inside of a wheel rim to balance the tire. This led everyone with a Camaro to run outside to see it their mullet machine's also had the weights, which they do, at least on among the folks on the forum. GM has not answered to the confusion yet, but the leading theory is they were place on the caliper as a quick and dirty fix to alleviate brake squeal. From a physics perspective, this explanation is plausible, as resonant frequency is in large part determined by mass, and by changing the vibrating mass of the caliper with the weights, a troublesome squeal would be eliminated for a particular driving condition.